Now, for the first time, a pocket version of The Hebrew-English "Tanakh" is available, with the exact same text and number of pages as our standard edition. The type, though small, is clearly readable, and the letters, Hebrew vowels, and cantillation marks are crisp and clear. The sturdy, coated paperback cover embossed in black with gold lettering is made to endure heavy, constant use. 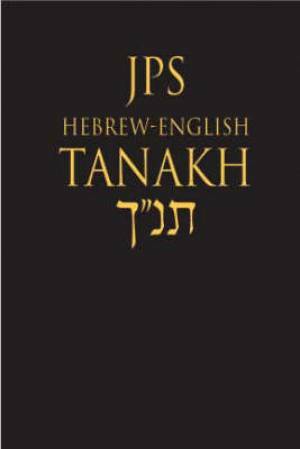 JPS Tanakh by JPS was published by Jewish Publication Society in July 2003 and is our 12130th best seller. The ISBN for JPS Tanakh is 9780827607668. Be the first to review JPS Tanakh! Got a question? No problem! Just click here to ask us about JPS Tanakh.